Now that Lip Sync Battle, in both its Spike and Tonight Show forms, has been around for a bit, it’s becoming clear that it’s not enough for a celebrity just to be good at mute karaoke. Instead, if they want to win their respective battle—and not just win, but become an internet phenomenon—they’re going to really have to step it up. 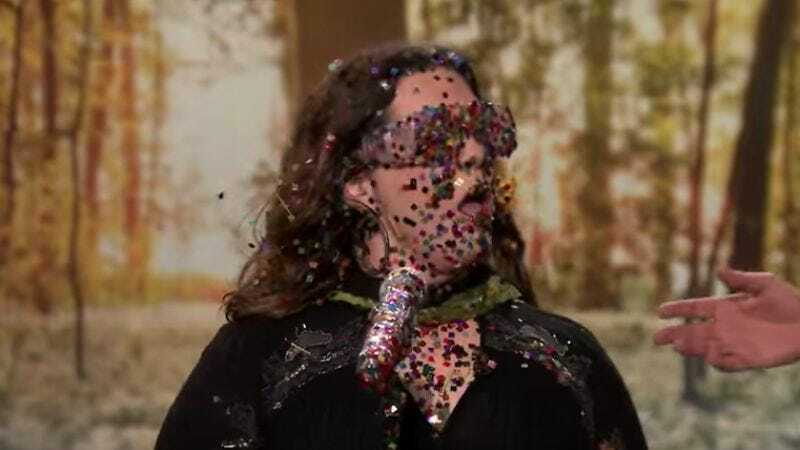 That’s what Melissa McCarthy did last night when she took on Jimmy Fallon on The Tonight Show, delivering both an impressively aggressive performance of DMX’s “X Gon’ Give It To Ya” and a show-stopping, glitter-bombing take on “Colors Of The Wind” from the Pocahontas soundtrack. Fallon tried to retaliate with a wobbly, pratfall-infused take on Melanie’s “Brand New Key,” as well as a sensual version of Zayn Malik’s “Pillowtalk,” and while those might be enough to win on any normal night, he was no match for McCarthy’s lip-sync warrior status. Vanessa Williams would be proud.